By DS Max Properties P.Ltd. How Far is V M Meadows Block II? Located in the most sought after neighborhood of Near Banaswadi, VM MEADOWS offers you all the creature-comforts you 'll every need. Comports apart, VM MEADOWS in planned to world class standards, and is at a convenient distance from leading schools. shopping malls, hospitals. And entertainment spots. VM MEADOWS Near Banaswadi - Outer Ring Road. In short, a home you've have been longing to own since long. The walls have Solid Block / Hollow Block Construction. The floors are exclusive Semi-Vitrified tiles flooring for Living , Dining , Bedrooms , Kitchens & Balconies. Exclusive Marble flooring for Lobby and Staircase. The electrical fittings includes Sockets & Switches white shaver sockets in bathrooms. Telephone & TV point in living and master bed rooms. Generator back up for living, dining , kitchen , intercom in living room , fan points in living , dining , bedrooms provided. Hot water geyser points in all bathrooms. 15 amps socket for microwave / Fridge in kitchen , 5 amps sockets in living and bedrooms. The Main door is exclusively of Teak wood frame and teak wood shutter and all other doors are good quality sal wooden frame with OST flush shutters. The windows are Aluminium sliding windows with MS grills. The kitchen has Granite cooking platform with Stainless Steel Sink and 2?glazed tiles above the platform. Ceramic (non slippery) floorings , galzed tiles walls up to 7 height with EWC & good quality CP fixtures. OBD paint for internal walls & ceilings. Enamel paint to all other door & window grills & water proof cement paint for external walls. Water supply through Bore well backup. 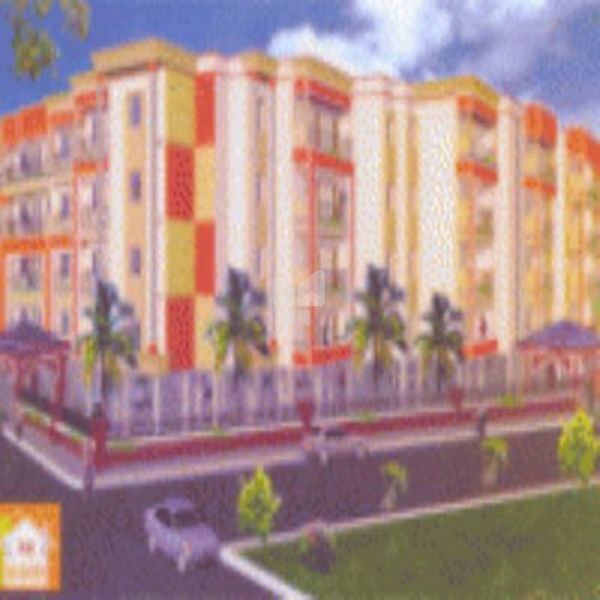 About DS Max Properties P.Ltd. DS-MAX Properties Pvt. Ltd. is an award-winning real estate development firm, based in Bangalore. With a dream to "Share the Joy of Living" across all sections of society, it is One of the most trusted Brand name in Bangalore real estate industry which is preferred by Home Buyers, Since from Dr. K.V. Satish entered into the world of real estate, it is the one-stop solution for all home Buyer needs, their customer-centric approach, attention to minute details and uncompromising attitude towards quality has made them reach peak in the real estate world. Over the years, DS-MAX Properties has grown exponentially and is expanding its sphere beyond Karnataka. They had got many national and International Awards for their Excellence in the field of real estate. Experienced architects, modern Technology and design, usage of high-quality material in the construction, choosing proper Location all this is to meet their goal “Share the Joy of Living”. Some of their Projects are DS-Max Saanjh at Bannerghatta Road Bangalore which Consists of 2 BHK and 3BHK apartment, and DS-MAX Stone Hills at JP Nagar 9th Phase, JP Nagar, DS Max Sparkle Nest at Hennur, DS-Max Starline at Electronic City and many more projects to choose from. Our mission as an organization is to maintain the standards of our corporate excellence in our delivery and skills and identify avenues to furnish our brand beyond borders. To locate the most exclusive and suitable property, and utilize our creativity, experience and technical expertise to integrate it in an environmentally friendly, ultra-modern, luxury apartments aimed at providing our clients their dream home. Our vision is, "to provide value homes with best amenities and Share the Joy of Living." Driven by a passion to serve; we are inclined towards understanding our customer's needs and wants to make their lives sweeter by adding value to their investments on our properties.